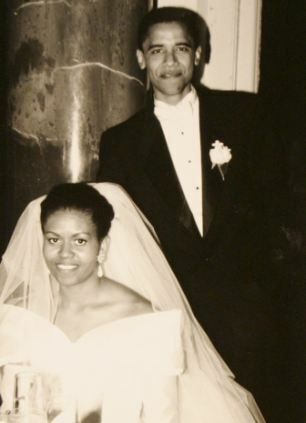 Dating can be a nerve-wracking occasion for any new couple, but it seems the President of the United States managed to impress the First Lady from the first date. 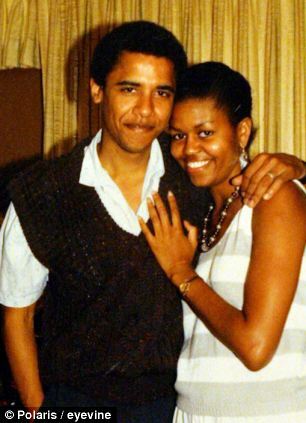 Barack Obama took Michelle for lunch at the Art Institute of Chicago in Michigan, before a leisurely stroll to the movies to watch a 1989 Spike Lee film which had just been released. 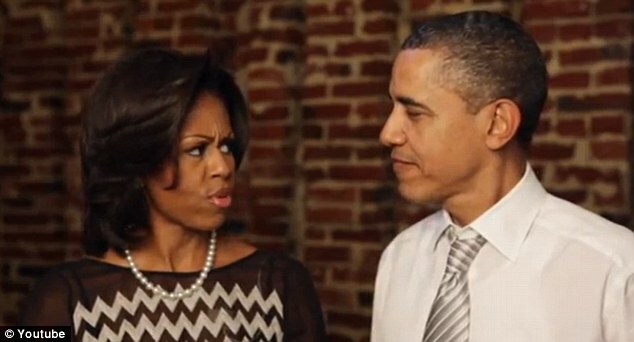 The Obamas gave an interview recalling the first time they went out for dinner as a promotion for a competition the president's campaign is running, offering winners the chance to dine with him and his wife. 'He showed all the sides - he was hip, cutting edge, cultural, sensitive. The fountain - nice touch,' she continues. 'The walk - patient,' she adds. Mr Obama grins, shrugs his shoulders, looks at the camera and says 'Take tips gentleman' before winking. The winners will each receive round-trip tickets for them and a guest from within the fifty U.S. States, DC, or Puerto Rico to a destination to be determined by the sponsor. They will stay in a hotel and have dinner with the president and his wife at an undisclosed location - the competition states that the package is worth about $4,800. It is not the first time Mr Obama has offered to have dinner with competition winners - earlier this year he dined with a competition winner and George Clooney at the film star's Los Angeles mansion to raise funds for his 2012 re-election campaign. A seat at the A-list dinner, which took place on May 10, was also available without entry into the competition for a reported $40,000 a head.